DayTime brings the sundial into the twenty-first century. 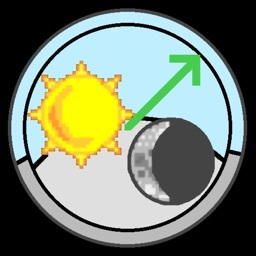 Using your location, DayTime calculates the position of the sun, the length of your day and the exact times of sunrise and sunset, and optionally, moonrise and moonset. 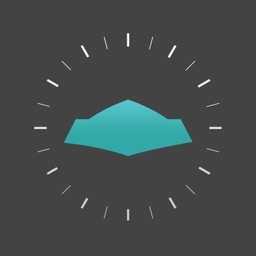 DayTime works worldwide, so you aren’t limited to tracking the sun at home. Whether you’re planning your vacation for postcard-worthy sunsets and moonrises or just making the most of the daylight hours, it’s never been easier than with DayTime. ◆ Solar Time: See the hours of the day along the edge of the solar clock, along with the length of daylight and times of sunrise & sunset. 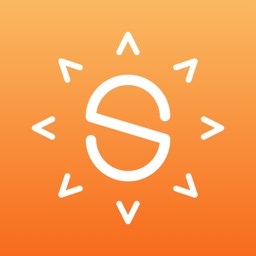 ◆ Location: Using your device’s location service, finds the nearest location to choose time zone automatically – DayTime always uses your exact location for its calculations. 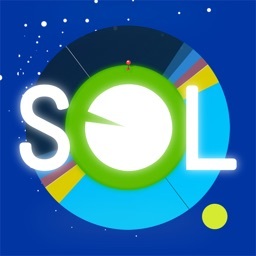 Or, choose from an extensive list of presets to tell the solar time around the world. 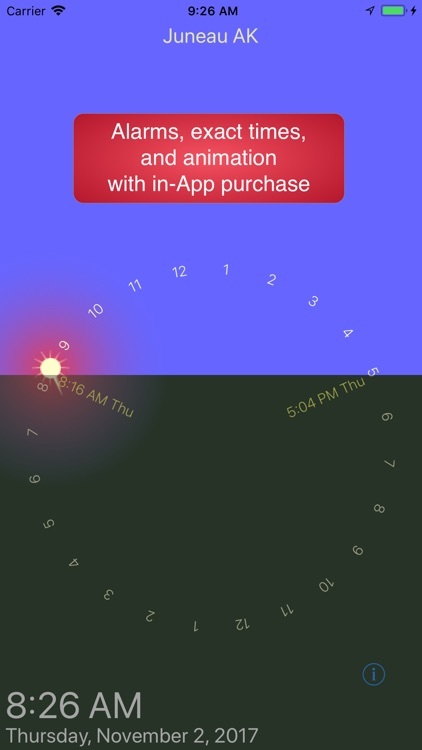 ◆ Simulation: Input date, time and location to show the position of the sun on any day, anywhere. To access the following features, you can buy a six month subscription to app extras, or buy All Features, Forever for access that never expires. 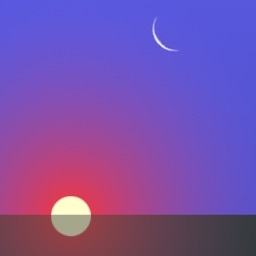 ◆ Sun Events: exact time display and alarms for sunrise and sunset; Astronomical, Nautical, and Civil Twilight; sunrise, solar noon, sunset; and solar midnight. 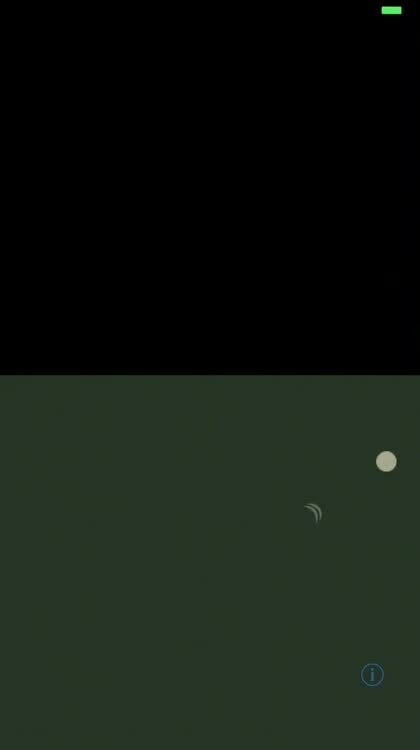 ◆ Moon Events: orbit position and phase of the moon; exact time display and alarms for moonrise and moonset. 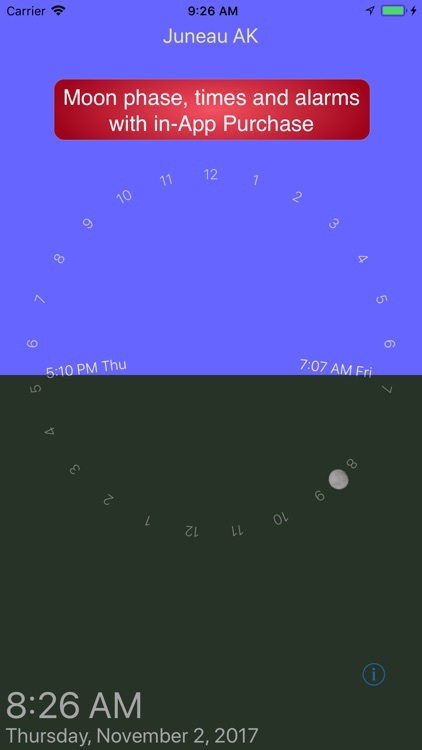 ◆ Animation: input time, date, and location, then speed up time and watch the daily dance of the sun and moon, or watch as day length changes with the seasons. ◆ Salah Events: exact time display and alarms for Imsak, Fajr, Sunrise, Dhuhr, Asr, Maghrib, Isha, and Islamic Midnight. Qibla pointer included. ◆ Shabbat Events: exact time display and alarms for the start and end of Shabbat. DayTime is accurate for dates within 100 years of the present. Salah Events supports calculations based on Islamic Society of North America; Muslim World League; Egyptian General Authority of Survey; Umm al-Qura University, Makkah; University of Islamic Sciences, Karachi; Institute of Geophysics, University of Tehran; and Shia Ithna Ashari, Leva Research Institute, Qum. Custom settings can be made. 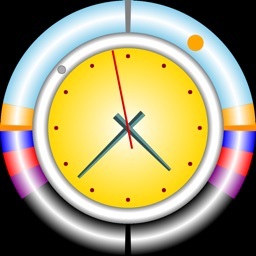 Adjustments may be specified for actual sunrise and sunset times at your location for even more precise Salah times. Complete in-App features may be purchased outright or as an automatically renewing subscription. A note about the All Features Subscription: A 6-month subscription for all features of DayTime can be purchased. Payment will be charged to your iTunes Account at confirmation of purchase. Subscription automatically renews unless auto-renew is turned off at least 24 hours before the end of the current period; within 24 hours of the end of the current period, account will be charged for renewal. Renewal is at the same price. Any unused portion of a free trial period, if offered, will be forfeited when a subscription is purchased. Subscriptions may be managed and auto-renewal may be turned off by going to the Settings App, iTunes & App Store, Tap your Apple ID, View Apple ID, Subscriptions.